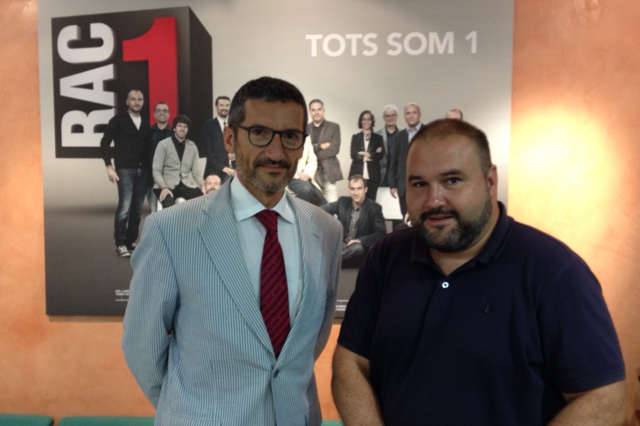 Dr. Jordi Monés, the Medical Director of the Barcelona Macula Foundation and the ophthalmologist specialising in macula, retina and vitreous at the Institut de la Màcula i de la Retina, has been interviewed on the RAC1 programme “Via Lliure”. Dr. Monés MD, PhD gave an overview of the Barcelona Macula Foundation’s research and expressed his satisfaction at the research undertaken in Catalonia, while adding that “it sometimes lacks funding”. He also assessed the Barcelona Macula Foundation’s clinical trials programme, undertaken in collaboration with the Institut de l Màcula i de la Retina. Dr. Monés said that trials of the type currently taking place made it possible to forecast that “in 5 to 10 years there will be effective treatments available for combating Age-Related Macular Degeneration (AMD) in its atrophic form”. You can listen to the interview through this link.